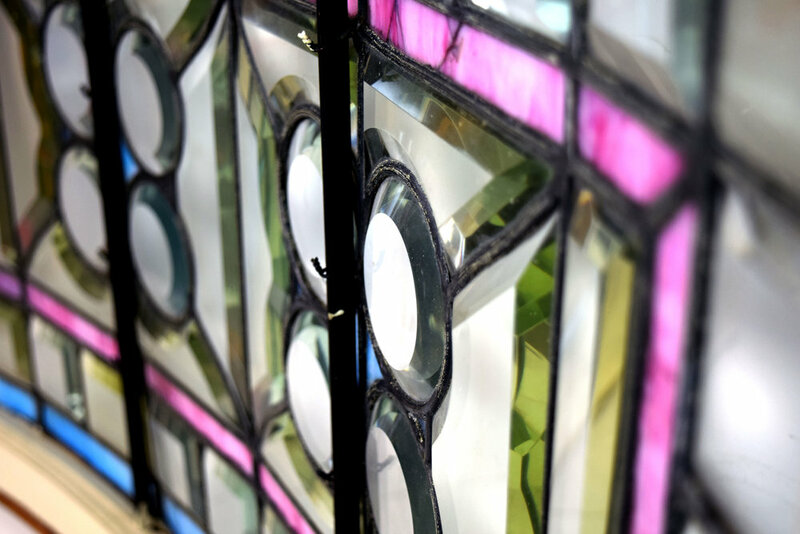 This wonderful, unique curved Victorian window features beveled glass clam roundels, surrounded by beveled glass squares and rectangles, and beautiful pink and blue stained glass that add exceptional pops of color. This window is truly one of a kind with its gorgeous design and curving form! Be sure to include the Product ID (AA#47209) when making your offer.